Dayan大雁 means Great Wild Goose, but we just call Dayan Qigong – Wild Goose Qigong. Dayan Qigong belong to the Kunlun system崑崙派. The Kunlun system also has many different styles of Qigong and so Dayan Qigong is one of these. The founder of Dayan Qigong is Dao An (312-385). He lived during the Eastern Jin Dynasty東晉時代and was born in Hebei Province河北省. 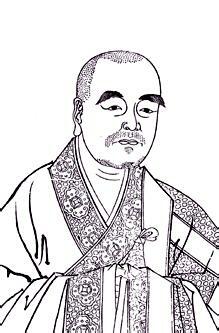 He was a Buddhist monk and so promoted Buddhism. In Buddhism the Heart is the most important thing. We need to let go and become empty. In this way, it is the same as Daoism. Therefore Dayan Qigong has Buddhist and Daoist principles. But before Dao An there was another person, named Fu An福安. History records that Dao An was a Buddhist and does not mention any connection with Dayan Qigong. However according to my Sifu, Grandmaster Yang Meijun楊梅君, was the proper founder of Dayan Qigong and we use his philosophy together with Buddhist principles. From him Dayan Qigong must have developed after many generations following the philosophy of Daoism and Buddhism to be empty, follow our heart and follow nature.